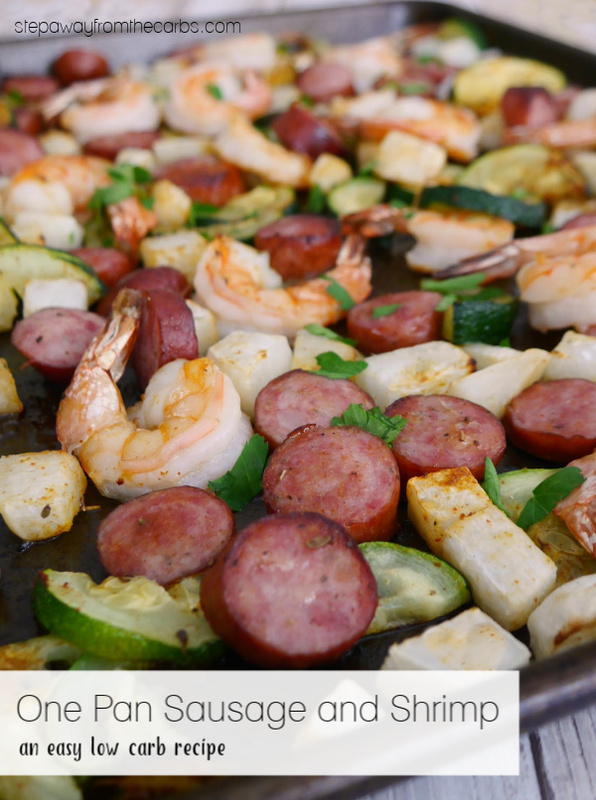 This low carb sausage and shrimp dish is roasted in just one pan and is SO full of flavor! Did you see the Baked Sausage and Pumpkin Bites recipe that I posted recently? 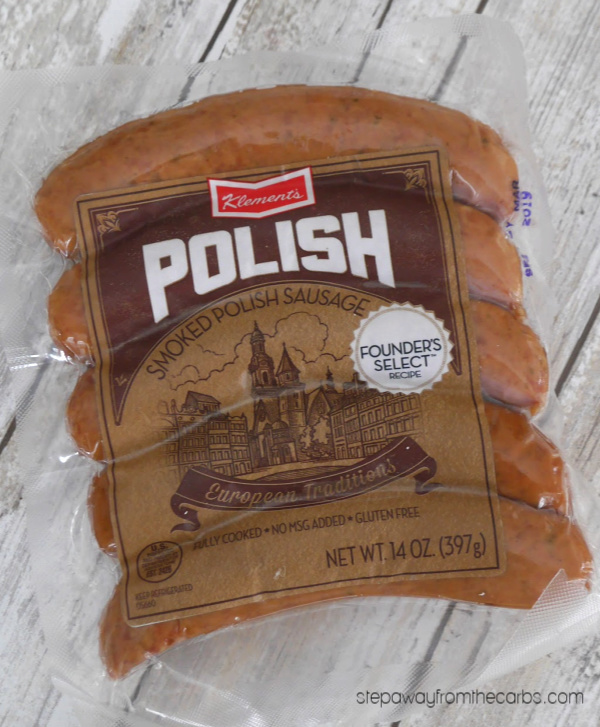 Today I have another recipe using a different sausage product from Klement’s – Founder’s Select Pre-Cooked Polish Sausage! 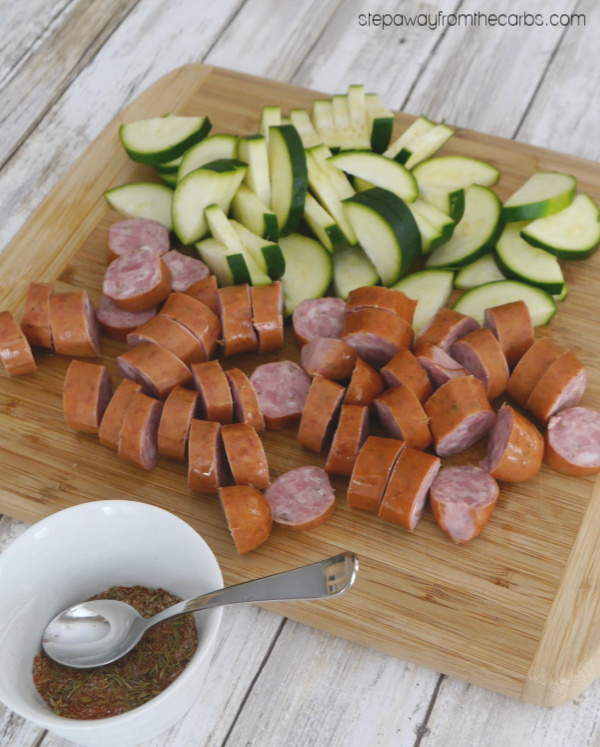 The range of premium meat products from this 60 year old company includes summer sausages, snack sticks, fresh sausages, cocktail smokies, ring bologna and more, and I just love how these handcrafted artisan products also happen to be low carb! 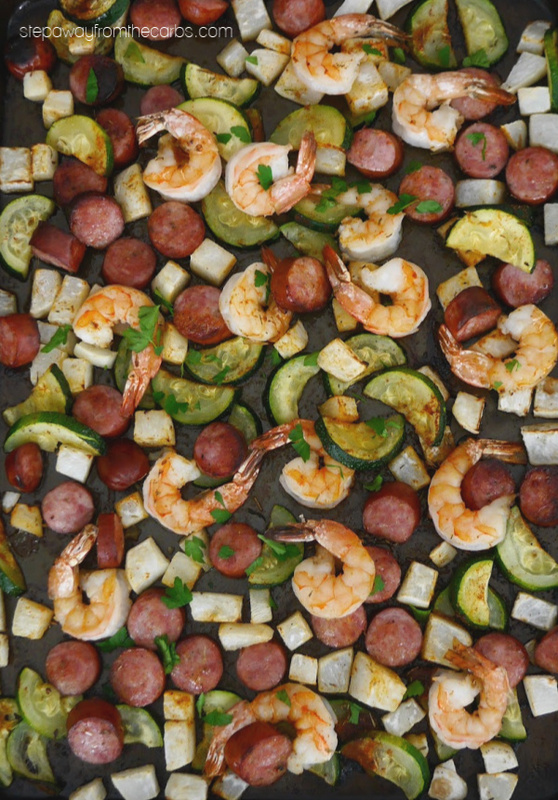 The combination of sausage and shrimp (and all those veggies) works so well in this recipe – but what I particularly love about this recipe is that it is SO easy to prepare and cook. And the great thing about using Founder’s Select Pre-Cooked Polish Sausage (other than the flavor!) for this recipe is that it is ideal for this one pan dish as it is pre-cooked. You could also try one of the other varieties: Italian, Jalapeno, Cheddar, Bratwurst, Chorizo, Smoked Bratwurst or Bacon Cheddar Bratwurst! 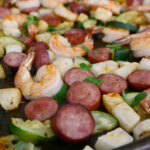 So the sausage and shrimp will cook quickly, which leaves choosing your low carb veggies. I’ve used diced turnips and zucchini in this particular recipe, but other options might include broccoli, bell peppers, green beans, cabbage, kale, asparagus, radishes, summer squash, cauliflower, eggplant, okra, pumpkin, and more! It’s just a matter of trying to make everything cook for the same length of time. In general, the harder the vegetable, the smaller it should be cut. Note: I first made this recipe with butternut squash instead of the turnips. 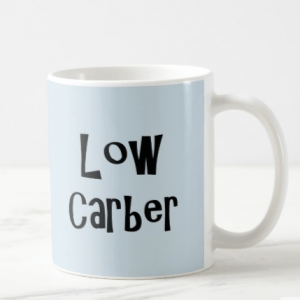 Although it was delicious, the carb count was unfortunately too high for some readers! Add the diced turnip to a large baking pan and drizzle with olive oil. Roast for five minutes in a preheated oven. Meanwhile, prepare the zucchini and sausages. In a small bowl, mix together smoked paprika, dried thyme and onion powder. Remove the turnip from the oven, and add the zucchini, sausage and seasoning blend. Gently mix it all around so that everything is well coated. Season with salt and pepper. Roast for another five minutes, then add some shelled and de-veined shrimp (you can leave the tails on if you like) and stir to mix. Return the pan to the oven for another 12-15 minutes or until the shrimp is cooked through. This hands-off time in the kitchen leaves you so much more freedom to actually chat and hang out with your friends and family rather than be stuck in the kitchen! Once everything is cooked, add some chopped fresh parsley and serve! You might like to add a simple green leaf salad to this dish – or perhaps some horseradish coleslaw would go nicely! Your guests will appreciate this great food and the fact that you didn’t have to spend all evening in the kitchen on their behalf. Add the diced turnip to a large baking pan and drizzle with olive oil. Roast for 5 minutes. Meanwhile, prepare the zucchini and sausages. In a small bowl, mix together smoked paprika, dried thyme and onion powder. 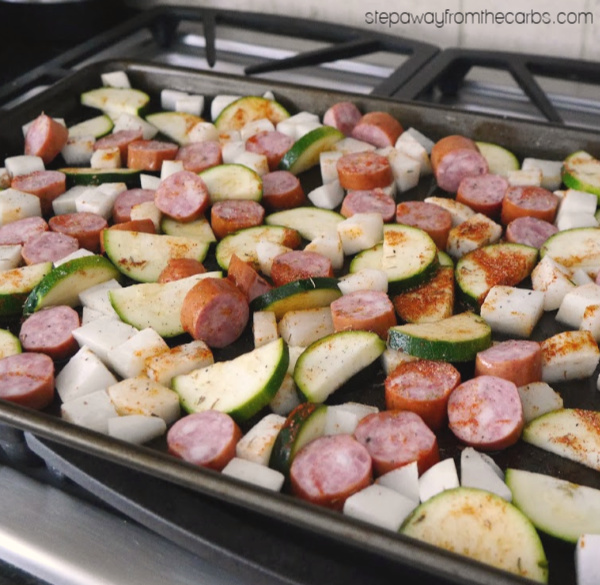 Remove the turnip from the oven, and add the zucchini, sausage, and seasoning blend to the pan. Gently mix so that everything is well coated. Season with salt and pepper. Roast for another 5 minutes, then add the shrimp. Stir to mix, then return to the oven for another 12-15 minutes or until the shrimp is cooked through. Once everything is cooked, add some chopped fresh parsley and serve. Wow! I love the combination of shrimp and sausage. 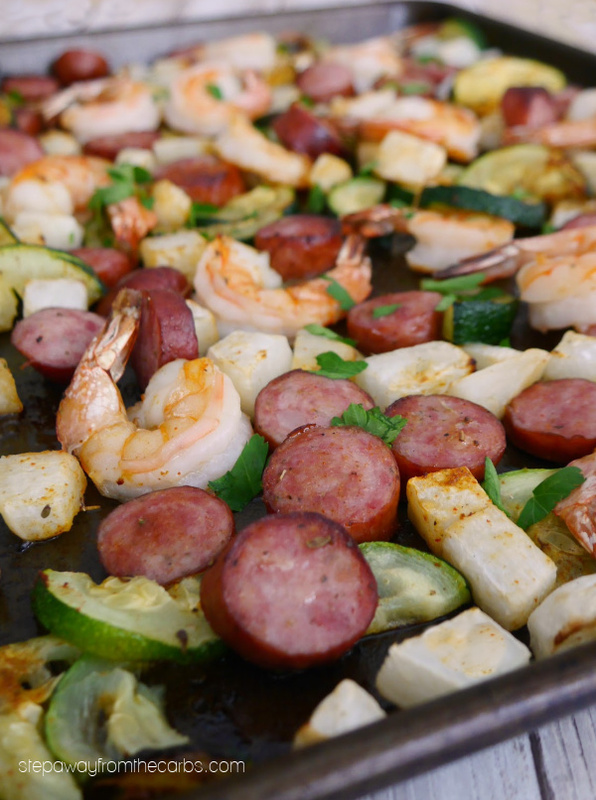 It’s a win in cajun and creole food and definitely a winner in this great sheet pan meal. Shrimp and sausage is always such a nice mix. We used to have it a lot when we lived in Spain, they combine the Chorizo with seafood. Your dish looks like a great supper. This looks like an easy, tasty meal! 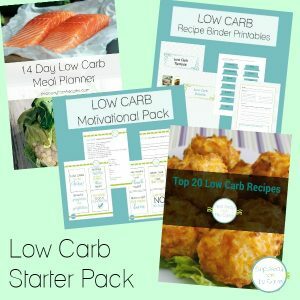 Less time in the kitchen does not mean a lesser meal! This looks so delicious! Thanks for sharing! I love how easy this looks! I am a big fan of one-sheet meals you can bake in the oven! I love baking shrimp. Such an easy dinner! I’m planning to make this this week. Am I correct to assume the onion powder is 1/2 teaspoon? Yes! I’ll get the recipe changed. Thanks!